There was a bit of hesitation in my step as I approached the door at 820 Spring St. The last time I had parked in this spot, sprinting across the street, and pulling at the handle, there was resistance. The door to the iconic Green Frog Inn was locked. At just after 4 p.m. on that fall day, it should have been open for patrons to enjoy a craft beer or appetizer. But rumors were swirling that the neighborhood bar had closed – rather abruptly. There was no formal announcement – not even a sign tacked to the door. The phone number had been disconnected and the once lively spot was quiet. But on Tuesday, I was coming to investigate a new rumor. The Green Frog Inn was going to reopen, under new management – the face of the bar, Cindy Henry. I gently pulled at the door and was surprised to feel it come toward me. Cautiously, I walked into the vestibule and could see through a window in the second door that a person was working in the kitchen. So, again, hesitantly, I pulled at the entrance door. It, again, opened. “Hello? Hello?” I called as I made my way to the kitchen. I walked across the wood floor of the bar, my senses flooded. There were no tables to block my path and the soda machine was covered in plastic. A green frog smiled from a beer cooler. A ladder had been erected near the bar. And it smelled like work, like progress. My voice, introducing myself, broke the sound of wrenches and kitchen metal. I asked if Cindy was there. And so it seems that after closing two months ago, the Green Frog Inn will be back with Cindy Henry at the helm. The mayor's wife owned the bar for 15 years before selling it in 2015 to Matt and Carrie Billings. Keep your eyes on this column for updates. 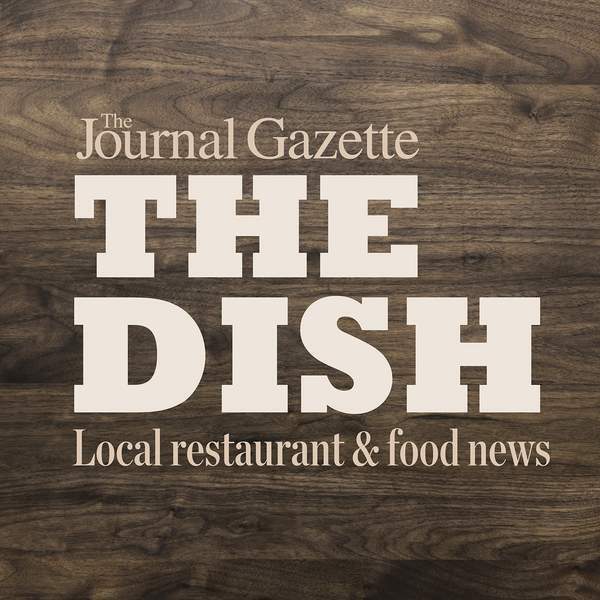 Whether you are done cooking, still entertaining family or, like me, no one sent you home with leftovers, Joseph Decuis in Roanoke is hosting diners after the Thursday holiday. The restaurant will offer a special three-course, prix fixe menu Friday and Saturday as well as its traditional menu. The meal costs $55 and includes soup or salad; choice of Wagyu Farm Stew (braised Wagyu beef with farm veggies and potatoes in a savory broth) or buttermilk fried chicken with celeriac cream and bacon cheddar biscuit; and choice of dessert – chocolate Bourbon pecan cake or pot de creme. A special meal for the kiddos up to age 12 is available, as well, for $10. It includes choice of pasta with butter sauce, kids burger with fries or grilled cheese with fries; a cookie; and a choice of beverage: a Unicorn (Shirley Temple), a Ninja (Roy Rogers) or milk. Reservations are required; call 260-672-1715. When we're talking about who has the best food this time of year, it's usually Aunty Mary's pumpkin pie versus Cousin Joyce's sweet potato pie. But a new list from Visit Indiana is running down the state's best food – some of which happens to be here in northeast Indiana. Winners in multiple categories were announced this month, including for best specialty burger in which the PB Burger at Bravas and the Big Buster at Don Hall's Hollywood Drive-In placed second and third, respectively. The Bravas sandwich features peanut butter, bacon, pickled peppers, mayo and white cheddar on a pretzel bun. While the combination sounds unlikely, Dining Out columnist Ryan DuVall is a fan. The Big Buster at Don Hall's is one of the local restaurant chain's signature dishes, and it features hamburger patties, cheese, shredded lettuce (it's key, folks) and the signature sauce. The winning specialty burger was the namesake sandwich at Brew in Jasper. Two EE's Winery in Huntington earned the top nod on the best winery experiences list, Country Heritage Winery in LaOtto was third and Satek Winery in Fremont was seventh. And also bringing home a top ranking was Shigs in Pit for best barbecue. The Fairfield Avenue location is the one cited by Visit Indiana but there is a second restaurant on Maplecrest Road for fans of the pulled pork and jalapeno macaroni and cheese. When it comes to sweet treats, DeBrand Fine Chocolates was eighth for best ice cream shops. In the signature food item category, caramel apples at the Johnny Appleseed Festival were sixth and the apple dumplings at the Kendallville Apple Festival were 10th. The winners were selected by online voters. Nominees were recommended by members of Indiana's travel, tourism and hospitality industry. • The former Wendy's and Pasquetti's location on West Jefferson Boulevard will not be a restaurant in its next life but an auto service center. • Restaurants that will be open for Christmas Eve or hosting special events during the holidays should send information to kdupps@jg.net by Dec. 7.